The San Diego Padres and New York Yankees have agreed to a trade that will send 3B Chase Headley to the Bronx. Yangervis Solarte and Rafael De Paula will be sent to San Diego. 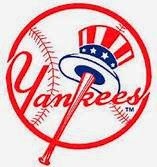 Headley has long been rumored to land in New York and the Yanks will gladly welcome his .229 batting average. Headley hit 31 home runs back in 2012, driving in 115 runs. He also has hit at least 28 doubles in each season since the 2009 season. He is having a nice month of July, hitting .323. Solarte, Kelly Johnson, Zelous Wheeler and Scott Sizemore have rotated at 3B this season for the Bronx Bombers. Headley should see a nice increase in fantasy value for the rest of the season.